This month in Studio 875, Georgia has a follow-on to the USB case from last month. 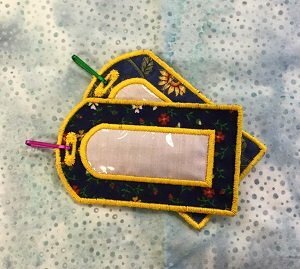 Even if you did not attend last month, you will find these tags very handy to label all your USB sticks containing your embroidery designs! NOTE: This month only, if you do not have embroidery, you will not want to attend. Click here for the Studio 875 Friday Class-USB Info Tag supply sheet.